Leasing an SUV may be your best option when considering your budget on a new family car. And leasing these SUV models are cost efficient with the affordable rates that follow. The following cars are the best considerable options when leasing a car. Searching for an affordable family SUV? Leasing Skoda Yeti would be a highly recommended choice. This two-wheel drive SUV has a 2.0 litre engine, costs just £30 annually in road tax and if you upgraded to a four-wheel drive edition, you would still have the advantage of its 53.3mpg & £130 annually in road tax. The Audi Q3 is a reliable and luxurious SUV, with its space and 2.0 litre diesel engine. This engine will provide 179bhp to all four wheels, giving you stability and quick acceleration. The powerful engine means that the car only takes 7.9seconds to go from 0-62mph. Given that this Volkswagen Tiguan is a top caravan tower with its ability to tow as much as 2,200kg and is fully equipped for any family that enjoy camping and other outdoor activities, it is the perfect SUV to lease. 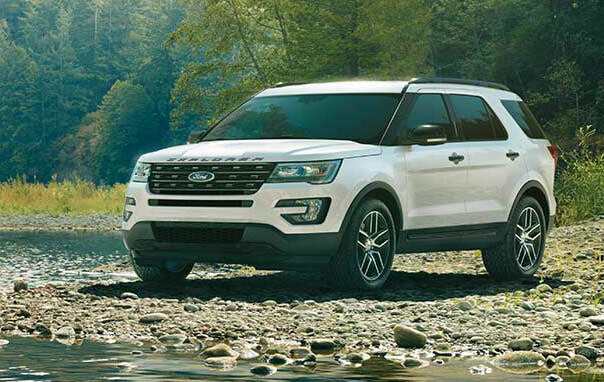 This classy SUV comes with a 1.4 litre engine and 60,000-mile warranty. From daily commutes to long family road trips, the Ford Eco Sport will serve you with its highly proficient technology and amazing features always. As Well as its great interior features to make this SUV a little classier, it has many optional elements to include with it, such as cruise control, control on climate, sensory window wipers and so much more, whatever it is you may want, it’s all yours!